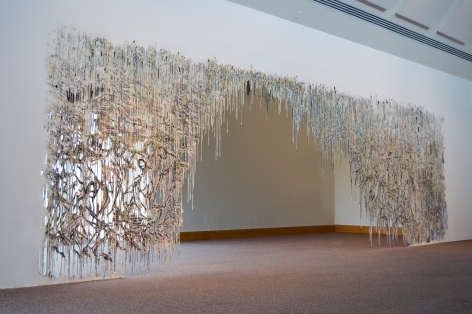 This fall, the Tarble Arts Center announced the initiation of Outside/Inside, a bi-annual exhibition series featuring long-term site-specific installations. These projects serve as interventions in the Tarble’s outdoor and inner spaces. The series seeks to inspire viewer engagement and imagination, while also signaling the vibrant creativity taking place within and outside of the Tarble’s walls. This series also hopes to encourage audience participation within and outside of the confines of the Tarble’s main exhibitions spaces. 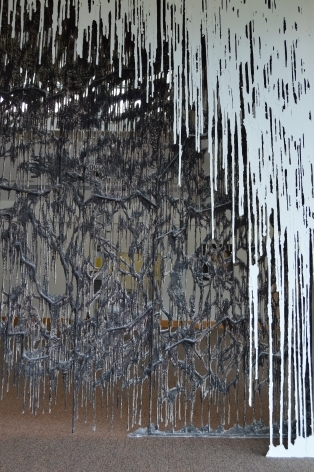 This year’s Inside project, called Smokescreen—by artist Diana Al-Hadid, will be installed in the Tarble's Atrium. 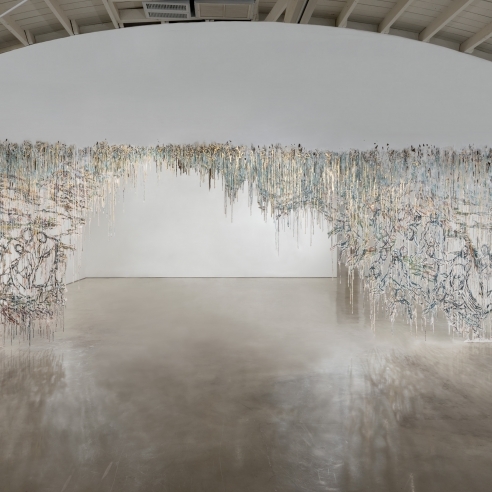 Al-Hadid is known for her gravity defying painting and monumental sculptures that use different source materials to emphasize form, the artist’s curiosity about history and the process of creation. Her stunning and methodical creations cross cultures and disciplines, challenging the practices of architecture, ancient invention, science, mythology, and Old Master works. 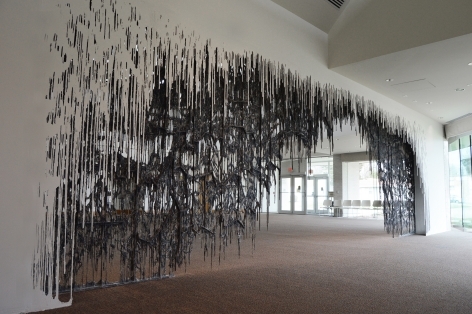 Smokescreen is a unique work, comprised of 6 panels, spanning over 30 feet that serves as a passageway, inviting viewers to contemplate their own understanding about the dissolving imagery and narratives woven and painted throughout its frame. Also re-opening this spring is The Porch Project: Tarble Tables by artist, Heather Hart. Once the winter weather breaks, there will be a host of opportunities to meet up with friends, start new conversations or enjoy fragrant spring days. The Porch Project: Tarble Tables will be on view and available as a programmatic space to the EIU community and the general public through the spring of 2018. EIU students and faculty, along with the general public are encouraged to inquire about hosting meetings or event at the Tarble Tables.